Jews saw themselves as both in the world and separate from the rest of the world. They were a people set apart. It was evident to all that they lived differently—the only people unwilling to sacrifice to the other gods. They remained separate in communities wherever they lived. 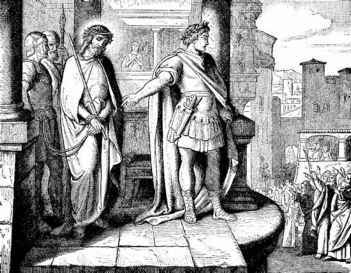 However, the Romans, who loved new religions, often found much to praise in Judaism. But they found circumcision abhorrent and frequently the dietary restrictions troublesome. 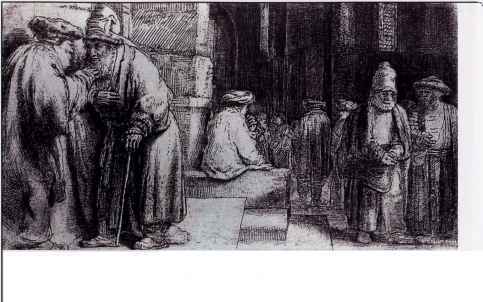 In most cities, therefore, synagogues allowed Gentile "god-fearers" to take part in worship. These practitioners were uncircumcised, but sometimes were made members by baptism. Jewish authorities in Jerusalem disapproved. These people would be fertile ground for Christian ideas. 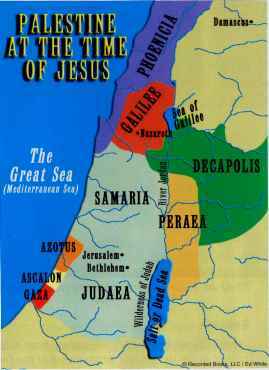 Gentiles thus became familiar with the Hebrew Bible. It was translated into Greek in the third century B.C. in Alexandria and was widely considered to have been by divine inspiration. It was the work of seventy translators, so it was called the Septuagint. ence to Mosaic law as well as the rich later scribal traditions and all sacred writings. They generally believed in an afterlife, because it was referred to in Daniel and elsewhere.